EastLink Archives · Stop the Cap! 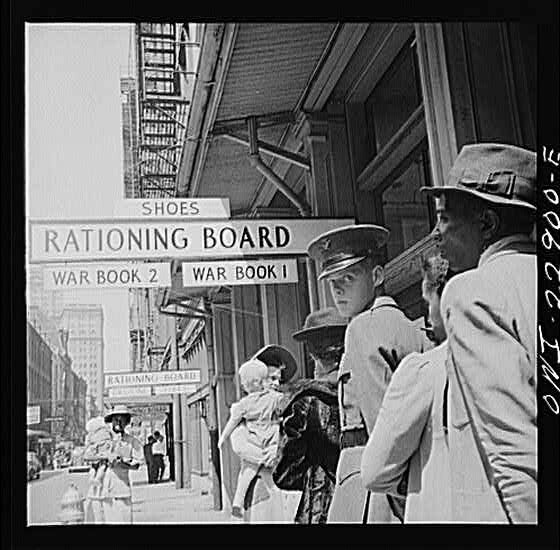 Rationing Your Internet Experience: Stick to e-mail and web pages. This week’s news that the alleged owner of a Wireless ISP serving parts of New England may have fled the country to avoid an investigation by the Securities and Exchange Commission on an unrelated digital currency matter has left about 1,000 Vermont customers of GAW Wireless with no certain future for their Internet Service Provider. As the “Geniuses At Work” came under pressure from public accusations the company was running a scam on digital currency investors, so went the performance of GAW Wireless. In February, a two-week service outage left many customers without telephone and Internet service. This month, e-mail accounts stopped working for some and nobody appears to be answering the firm’s customer service line. 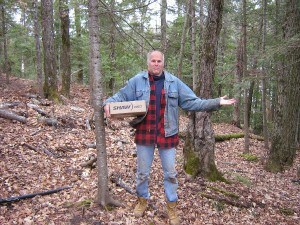 Even Vermont’s Attorney General cannot find the owner. While Wireless ISPs (WISPs) can be a good option for North America’s unserved rural communities, they are not always the best choice, especially as customers continue to gravitate towards high bandwidth applications like Netflix. Some rural WISPs have kept up with customer demand and continue to offer good service. Others have educated customers about being a good steward of a limited resource by showing courtesy to other customers by self-limiting heavy traffic applications to off-peak hours. But other providers have chosen usage-discouraging data caps or usage-based billing to cover up for their inadequate infrastructure investment. 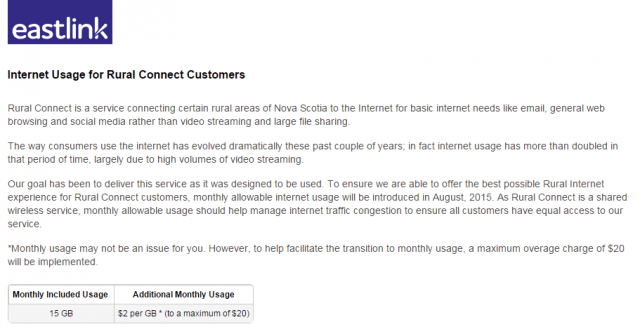 In Nova Scotia, Eastlink’s new 15GB monthly usage cap on rural customers is nothing short of Internet rationing, completely ignorant of the fact most customers have moved beyond the Internet applications Eastlink envisioned them using when it built its network in 2006. Nearly a decade later, it is ridiculous to suggest customers should be happy continuing to pay almost $50 a month for a 1.5Mbps connection designed for e-mail, basic web browsing, and occasional dabbling into downloads, music, and video. Come for the view but don’t stay for the wireless broadband. Some angry customers suspect Eastlink is simply being greedy. We believe it is more likely Eastlink’s existing wireless network is no longer adequate for the needs of Nova Scotians (or practically anybody else in 2015). The evidence that congestion is the real problem was supplied by customers who have noticed the network’s performance has slowed over the last few years. That is a sign the network is either oversold — too many customers trying to share the same bandwidth limited resource — or has become congested because of the growth of Internet traffic generally. It might even be both. Implementing draconian usage caps only alienates customers and suggests Eastlink wants to collect as much revenue as it can from a resource that should either be vastly upgraded or retired in favor of superior technology. We have not seen anything from Eastlink that suggests major upgrades are on the way. In fact, the only conclusion we can make from Eastlink’s public comments is they think equal access to an inadequate resource is fairer than actually upgrading it. Eastlink claims nobody could have envisioned Internet traffic growth from the likes of Netflix. 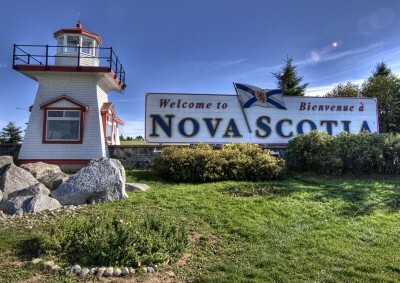 In fact, equipment manufacturers like 3Com and Cisco were issuing scare stories about Internet brownouts and future traffic exafloods since December, 1995 — the year before Eastlink planned its Nova Scotia wireless network. Smart network planners have kept up with demand, which has been made easier by technology improvements accompanying the increased traffic. A good ISP recognizes upgrades are continual and essential to keep up with customer needs. 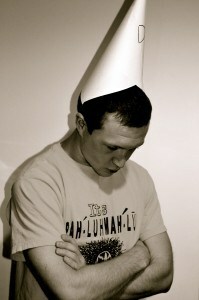 A bad ISP introduces a rationing usage cap and claims it is only trying to be fair to every customer. Usage caps and usage-based billing have never been about “fairness.” We’ve seen all sorts of usage enforcement schemes imposed on customers since 2008 when Stop the Cap! was founded. In each instance, usage caps were only about the money. Eastlink customers will not see any rate decrease as a result of its rationing plan, giving users less value for their broadband dollar. If an Eastlink customer confines use of their high traffic applications to the overnight hours, when they would cause little or no congestion, they will still eat into their monthly usage allowance. All the benefits of usage caps accrue to Eastlink, either by reducing traffic on its network and allowing the company to delay necessary upgrades, or by pocketing the inevitable overlimit fees, which may or may not go towards upgrades. In our experience, the case for spending capital on network upgrades has never depended on overlimit fees collected from subscribers squirreled away in a separate bank account. This is why communities in Vermont, Nova Scotia and beyond should strongly consider investing in fiber optics for broadband delivery and consider wireless only for the least populated areas. A broadband project in rural western Massachusetts can offer a guide to resolving the ongoing problem of unserved or underserved communities ignored by commercial providers. Deprived of upgrades from Verizon and shunned by Comcast and Time Warner Cable, the residents of these towns continue to vote overwhelmingly in favor of fiber optics. A plan to place a 15GB monthly usage cap on Eastlink broadband service in rural Nova Scotia has led to calls to ban data caps, with a NDP Member of the Legislative Assembly of Nova Scotia leading the charge. NDP MLA Sterling Belliveau is calling on the Liberal government to prohibit Eastlink from placing Internet data caps on rural broadband. Belliveau’s office is being flooded with complaints from residents and business owners upset about Eastlink’s data cap, which includes a $2/GB overlimit fee, up to a maximum of $20. Eastlink’s continued dependence on a low capacity wireless network platform has conflicted with the changing needs of Internet users, who increasingly use high bandwidth applications like streaming video that can quickly clog wireless ISP traffic. When the service was designed, the popular video streaming service “Netflix was shipping DVDs by mail,” says Eastlink spokesperson Jill Laing. 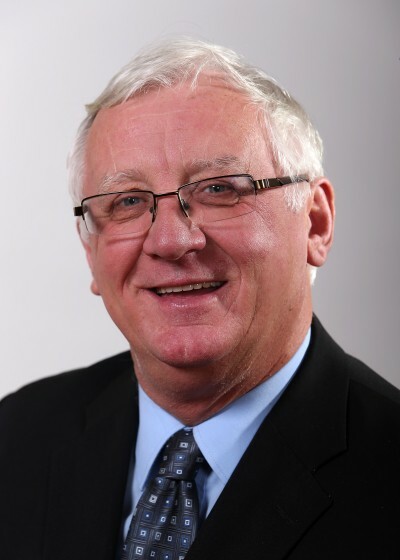 The cap was implemented to “address Internet traffic, which we believe will help provide equal access to the service and deliver a better overall rural Internet experience for customers,” Laing wrote. Eastlink says the average customer uses about 12GB of traffic, excluding video streaming. Setting a usage cap at 15GB should not be a problem for customers who stay off Netflix, argues the ISP. “Those who are using the service as it was intended to be used should not be impacted by monthly usage,” she wrote. The fact Eastlink labeled some traffic legitimate while video streaming was discouraged did not go over well with customers. Fournier suspects Eastlink has not invested enough to keep up with a growing Internet because the service originally advertised itself as a way to listen to online music and watch video. But he also wonders if the data cap is an attempt to force the government to fund additional upgrades to get Eastlink to back down. But at least one wireless provider in Nova Scotia does not understand why Eastlink is making a fuss over data caps. Cape Breton’s Seaside Wireless Communications offers Internet access in Antigonish, Cape Breton, Colchester, Cumberland, Guysborough, Inverness, Pictou, Richmond and Victoria counties, along with rural parts of Halifax County, and has no data caps. Some Nova Scotians are also questioning why their Internet service is being capped while rural Eastlink customers in Newfoundland, Labrador and Ontario can continue to use the Internet cap-free, at least for now. Others are suspicious about the future of Eastlink’s maximum cap on overlimit fees, currently $20. Canadian providers have a history of raising the maximum cap, subjecting customers to greater fees. “It’s hard to speak to what will happen over time. We’ll certainly evaluate where we’re at later in the fall,” said Laing. Liberal provincial Business Minister Mark Furey said he was aware of Eastlink’s rural broadband data cap but only promised to monitor the situation for now. You must remain on this page to hear the clip, or you can download the clip and listen later. EastLink customers in Nova Scotia are getting three things from their local cable company: slightly faster Internet speeds, a higher bill, and insulted. EastLink has mailed letters to subscribers in certain parts of Atlantic Canada notifying customers they are now getting speed boosts on the company’s lower speed tiers. Basic Internet customers subscribing to 1.5Mbps service will now see 5Mbps, while those at 5Mbps are getting upgraded to 10Mbps service. EastLink said the upgrades target its budget-minded customers who are also getting pelted with competing mailers from Bell Aliant, which sells fiber service in the region. But the speed upgrades don’t come for free. In a move EastLink denies is tied to the broadband speed improvements, the company is also notifying customers of its annual general rate increase. Atlantic Canada enjoys some of the fastest Internet service in the country, often without any usage caps. EastLink offers, in addition to its budget Internet tiers, service at 20, 40 and 80Mbps. Their primary competitor is Bell Aliant, which operates its FibreOp broadband at speeds of 50, 80, and 175Mbps. 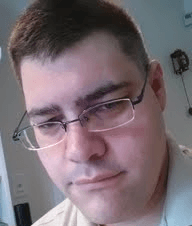 Nonsense, responds Jordan Turner, EastLink’s public relations coordinator. He said subscribers often have no comprehension about the broadband speeds they get now, and certainly don’t need anything faster than what EastLink now provides. The Canadian Broadcasting Corporation today shut down more than 600 analog television transmitters primarily serving rural viewers, forcing most to either go without television to sign up for commercial satellite or cable television service. Because of Canada’s great expanse, the country’s public broadcaster has relied on hundreds of terrestrial low-power television transmitters to cover smaller communities and rural areas outside of the reach of CBC stations in larger cities. These transmitters provide relays of 27 regional English and French stations and have allowed rural residents to enjoy free over-the-air television. While larger communities are now able to watch digital television signals in place of older analog service, the CBC has decided not to replace existing analog repeater transmitters with digital ones, effectively ending service for many rural Canadians who will now receive no over the air signals at all. Budget challenges and a decision from the CRTC that declared the CBC has no obligation to broadcast its programming has been met with resistance across rural Canada, particularly because taxpayers in cities large and small finance the CBC’s operations. The CBC says the change will impact only 2 percent of Canadians that do not already receive digital television service or have signed up with a pay television provider. But the concept of “free TV” has changed forever for rural viewers. For some cable viewers, the CBC’s digital solution is also presenting problems, especially in the Maritimes. 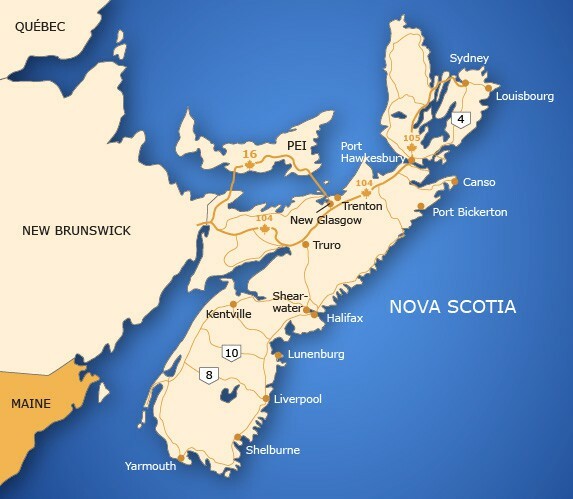 In rural Newfoundland and Labrador, EastLink viewers may lose their closest local CBC station and be forced to watch programming from a CBC station is Halifax, Nova Scotia instead, at least until Shaw begins carrying additional CBC stations on satellite. Shaw’s Local Television Satellite Solution (LTSS) offers qualified Canadians free satellite service with a handful of over-the-air stations, assuming they apply by November 2012. Assuming your postal code is within a “qualified reception zone,” and you somehow know about the barely promoted service, Shaw will provide a satellite dish, receiver, and reasonable installation at no charge. Unfortunately, many Canadians have no idea Shaw is offering the service, and are opting to purchase a regular Shaw Direct package, signing up with another satellite provider, or subscribing to cable where available. Very little about the service is found on Shaw Direct’s website, and those interested are required to call the company for further information. Even those made aware of Shaw’s offer have found challenges signing up. Steven James May, who runs the “Dude, Where is My TV?” blog reports his parents, who live in rural Denbigh, Ontario were first made aware of Shaw’s LTSS when he told them about it. Several initial attempts to sign up for the service were dashed when Shaw responded Denbigh residents were not qualified for LTSS based on the postal code provided. When May’s parents eventually did qualify, they were sent a well-used and scuffed Star Choice satellite receiver retired from the days Shaw Direct was known as Star Choice. While enticing, Denbigh residents have effectively lost “local service” because the community is forced to watch local news for Toronto, Hamilton, Sudbury, Thunder Bay, and Calgary — all much further away than the nearest large city for them — Ottawa. Residents that used to watch CJOH (CTV Ottawa) and CBOT (CBC Ottawa) over-the-air now must get accustomed to news and weather for Toronto, a considerable distance to the west. Canada’s largest privately owned telecommunications provider is getting into the mobile broadband business. EastLink, which owns cable systems in communities across nine provinces, is constructing its own mobile phone and data network set to launch in 2012. Part of that network will be its own competitive wireless mobile broadband service. EastLink is using licensed wireless spectrum acquired in a 2008 federal auction which will allow it to provide cell service in Newfoundland, New Brunswick, north and southwest Ontario, and the metropolitan region of Grand Prairie, Alta. But its first priority is delivering service on Prince Edward Island and in Nova Scotia, where EastLink is based. “With this network evolution, our customers will be able to work and communicate more reliably and faster than ever before,” said Matthew MacLellan, president of EastLink Wireless. EastLink subsidiary Delta Cable delivers cable service in western Canada. EastLink’s new wireless network will use HSPA technology, presumably at the speeds most common in Canada — 21 or 42Mbps. Ericsson is providing the equipment for the network. EastLink has nearly a half-million customers, a tiny number in comparison to market leaders Bell, Rogers, and Telus. But the company has a reputation for delivering advanced service, and is well-regarded in Atlantic Canada, especially for delivering Internet at speeds up to 100Mbps. “They have a very strong reputation so they’ll be likely to shake up the market down there,” Brownlee Thomas, principal analyst at Forrester Research Inc., told The Wire Report. EastLink’s primary focus is on its Canadian subscribers, but the company has also investments in Bermuda, and its subsidiary Delta Cable delivers service to one American community — the enclave of Point Roberts, Washington, located south of Delta, British Columbia.